Logan is fourteen, and due to graduate from the Quiet Earth School for Children—a retreat deep in the Canadian forest that takes in wayward kids, using martial arts study to turn them around. Most of the students were sent to Quiet Earth by their parents... but not Logan. Six years ago he was found unconscious on the school steps in the dead of a midwinter night, with no memory of how he got there. In fact, the only thing he could remember was his name. Now Logan is the school's best student, and a formidable warrior. But his bad attitude and loner nature are about to get him in trouble as he faces challenges of willpower, strength and skill greater than he's ever known. And the secrets he harbours are nothing compared to the secrets he is yet to uncover. 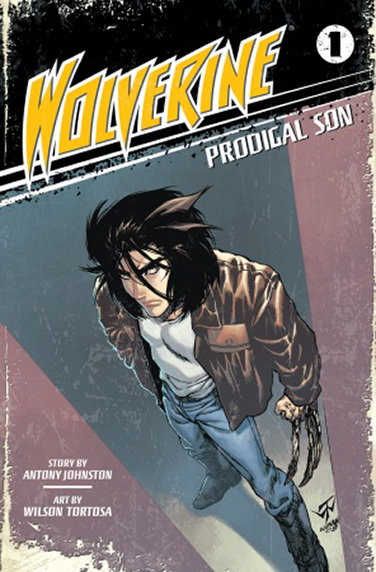 WOLVERINE: PRODIGAL SON is a complete reimagining of Marvel's classic character as a shōnen manga, published by Del Rey.